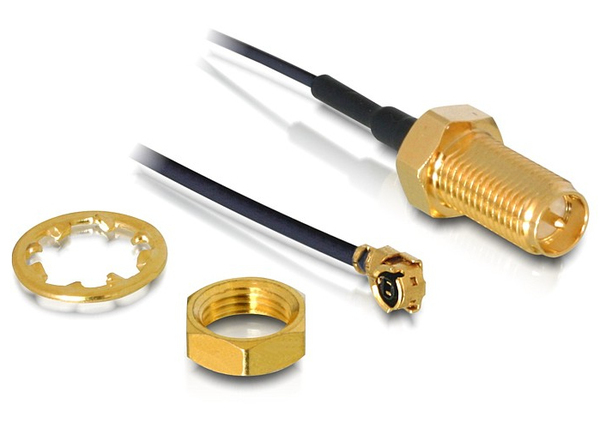 This connecting cable can be connected to your HF (high frequency) module e.g. WLAN in order to get a RP-SMA connector. Thus you can plug a RP-SMA antenna to the module to receive and transmit a HF signal.